Introduction: Last year I had the opportunity to share some time with St. Croix Rod's redesigned Legend Elite Series with our review of their 7'0" medium powered casting rod, the EC70MF. 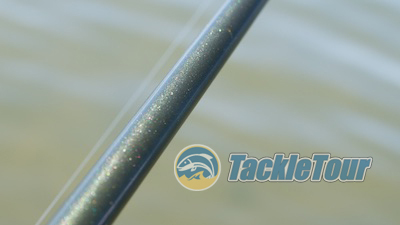 Quite often when we're finished reviewing a particular piece of tackle, no matter how much we like the product, it's set aside as we move onto another enroute to the next review. 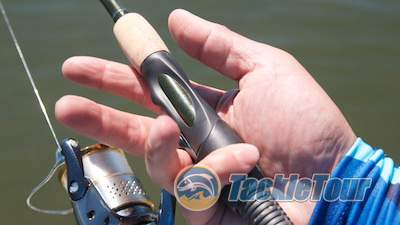 What's great about finding a rod series we enjoy is sampling different models within the same line. So today, we get to turn our attention back to St. Croix's new Legend Elite series with a look at the ES70MLF. 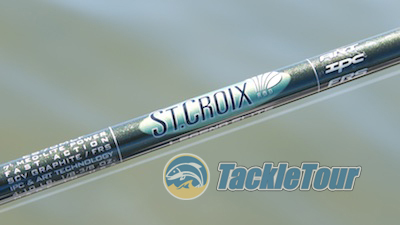 Introducing St. Croix's Legend Elite ES70MLF. Impressions: It's taken a little while since we published our review of the EC70MF to come back around and look more closely at the ES70MLF, but here we finally are. 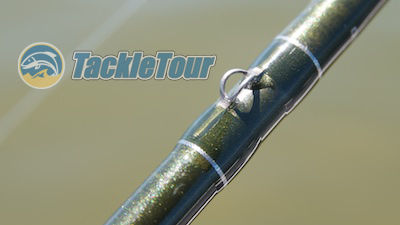 This is a seven feet even (7'-0") spinning rod built from the same SCVI graphite and finished with the same sparkly, hunter green paint. It features a full rear grip and small foregrip made of cork. The rod's reel seat (Fuji TVS) winds up from the bottom like many spinning reels do these days to avoid accidental loosening of that lock ring while you're fishing. The ES70LMF and all Legend Elite rods feature a painted blank. I always take a little extra time to admire the super clean, precise craftsmanship of St. Croix's fishing rods. Their quality control over each build is top notch and it shows especially well on the Legend Elite series. In this era of split rear grips, St. Croix stays old school with the Legend Elite. 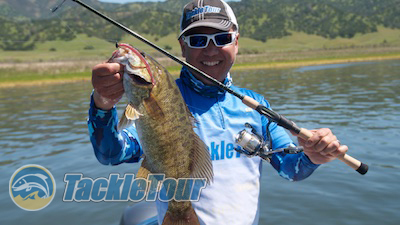 Real World Tests: A rod of this stature is befitting a reel of the same, so I paired my ES70MLF with a Shimano Stella 3000FE spooled with six pound (6lb) Seaguar Tatsu fluorocarbon and took to one of our favorite finesse fishing lakes, Lake Berryessa, California, to put this rod through the paces. Old school right down to the foregrip. Casting: The ES70MLF is a medium-light powered rod with a fast action taper and is rated between one eighth ounce to three eighths ounce (1/8oz - 3/8oz) in lure weight. It has a really crisp blank that responds well to both pitching and casting presentations of baits within its recommended lure rating. But that reel seat is definitely new. This rod responds especially well to those quick, flick of the wrists casts I often make when I'm dialed in on a spot and am trying to make repeated casts to trigger a strike. Side note though - be careful with that swinging drop shot weight on quick casts like that. One off track swing and that weight might come back and smack your blank. Not that something like that has ever happened to me. Fuji's TVS spinning reel seat is a new favorite. Sensitivity: Ever since I finished writing up the previous generation Legend Elite LES76MLXF back in 2011, I've been anxious to sample another spinning rod from this series to see if I could recapture the impression of ultra-sensitive performance that stick left with me. Unfortunately, while the ES70MLF is a very sensitive stick, it didn't have that same "it" impact with me. Maybe the Stella 3000FE wasn't the right match with this rod and I needed something smaller. But make no mistake about it, this stick is very good and has above average sensitivity. 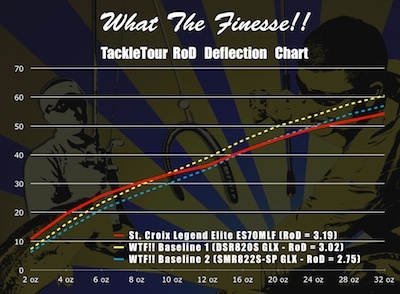 Fig 1 : The chart above illustrates the deflection characteristics of our St. Croix Rods Legend Elite ES70MLF against our 2011 WTF baseline rods. Power: The ES70MLF has an ideal power curve for a finesse fishing tool. Looking at the chart above, you can see it has a lot of movement in the lower weight range, but then flattens out in comparison to our two baseline WTF sticks. This means it has a nice, soft tip but more backbone than average when you need it. Component wise, St. Croix ups the ante with titanium framed, Torzite guides by Fuji. 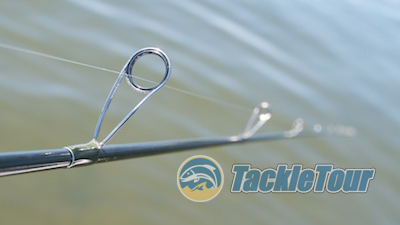 Out on the water, as you lift the ES70MLF's tip in response to that "tick" at the end of your line, the entire rod loads easily and smoothly in response helping you apply a lot of pressure on the fish as you fight it to the boat. Of course "a lot" is relative since I was only using 6lb test line, but I really enjoy the feel this rod gives you both before and after the bite. 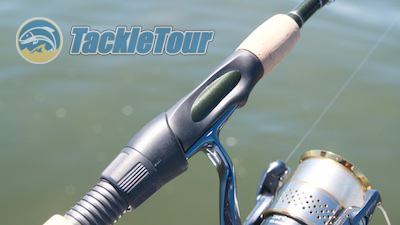 Each Legend Elite rod now ships with a custom rod sleeve. Design & Ergonomics: The ES70MLF features a rather conventional and conservative build with a full rear grip and foregrip. 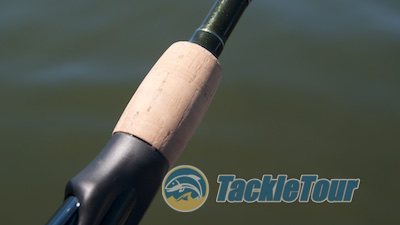 I mentioned this earlier at the beginning of this article when discussing my impressions with the rod because it bears repeating when we discuss the rod's overall weight at only three and a half ounces (3.5oz). This is a seven foot rod with in a conventional build and it weighs less then some more contemporary styled sticks we've reviewed recently. Additionally, it's well balanced with only a 0.16 balancing torque! The ES70MLF is quite the unicorn when it comes to weight and balance. The only criticism I have of this particular rod is I wish it came with an open ended hook keeper to make it easier to stow drop shot weights. Yes, the thread wraps are translucent. Could it be the guides (titanium framed with Torzite inserts) or that SCVI blank? It's likely a combination of the two and goes to show you what you can achieve with top end components. Price & Applications: The ES70MLF is an excellent choice in a spinning rod for finesse applications, or really any application that calls for a 7'-0" spinning rod using light line. Its performance characteristics together with its weight and balance make it a difficult stick to put down. All this top tier materials and performance for under $400? 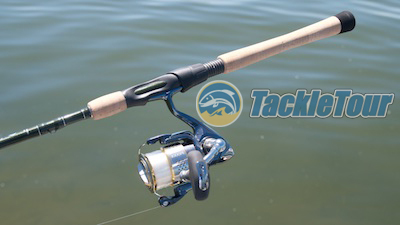 Given the rod's top tier fit, finish, and performance, one could easily expect it to retail in the $450 - $500 range similar to G.Loomis's GLX & NRX offerings and Daiwa's Steez AGS or Compile X rods. Instead, somehow St. Croix delivers this stick with Fuji titanium framed, Torzite guides for just under $400 at $380 with a full lifetime warranty against defects in materials and workmanship. Conclusion: I mentioned it before in my review of the ES70MLF's sibling, the EC70MF, and I'll say it again how it really is unprecedented the value St. Croix is delivering in their current generation Legend Elite. I have to dig really deep to find anything negative to say about this rod - the hook keeper is the only criticism I have! See that smile? It can only mean one thing - Ultimate Enthusiast Award for St. Croix! The only thing really left is which award will St. Croix win this time. The EC70MF won two awards - Best Value and Editor's Choice. 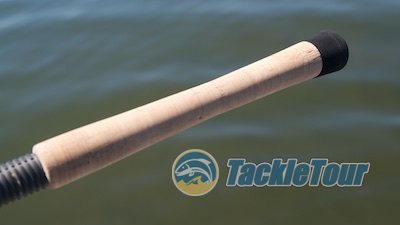 Considering this stick is in the same series but is a spinning rod instead of casting, it should more or less be the same, right? It really is, but then again, it kind of isn't too. The ES70MLF is such a fun stick to fish, I had to force myself to put it down so I could get some work in with other spinning combinations. But each time I had it with me out on the water, it continued to call to me to pick it up and fish with it. That kind of draw, that influence, can only mean one thing. Congratulations St. Croix on your very first, Ultimate Enthusiast Award from TackleTour! 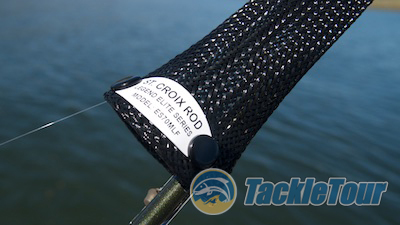 Looking for a St. Croix Legend Elite ES70MLF?